What’s actually in a cigarette anyway? The toxic and cancer-causing chemicals in cigarettes harm you and those around you. Cigarettes contain a lot more than just paper and tobacco. Hidden within a single cigarette is a potent cocktail of poisonous chemicals. It’s common knowledge that cigarettes are harmful, but do you know exactly what makes them so damaging to our bodies? We’ve explored some of the chemicals in cigarettes and how they impact our health. Of the 4000+ chemicals present in cigarette smoke, more than 60 are carcinogens – or substances that can cause cancer. Of these, 11 are known to cause cancer in humans and eight are associated with cancer in humans. We often think of lung cancer when we think of smoking, but the damage doesn’t stop there. Tobacco is linked to at least 16 types of cancer, including cancers of the mouth, throat, bladder, stomach, bowel, and blood. Beyond cancer, smoking is linked to a vast range of other serious diseases and health conditions. The toxic chemicals in cigarette smoke travel in our blood to our heart, brain, and every other organ and system in the body. That’s why smoking is associated with conditions as varied as heart disease, diabetes, stroke, lung disease, vision loss, dental issues, osteoporosis, erectile dysfunction, and reduced fertility. Nicotine: a highly addictive and poisonous drug. It also causes the blood vessels to tighten, reducing blood flow and restricting the amount of oxygen and nutrients transported around the body. 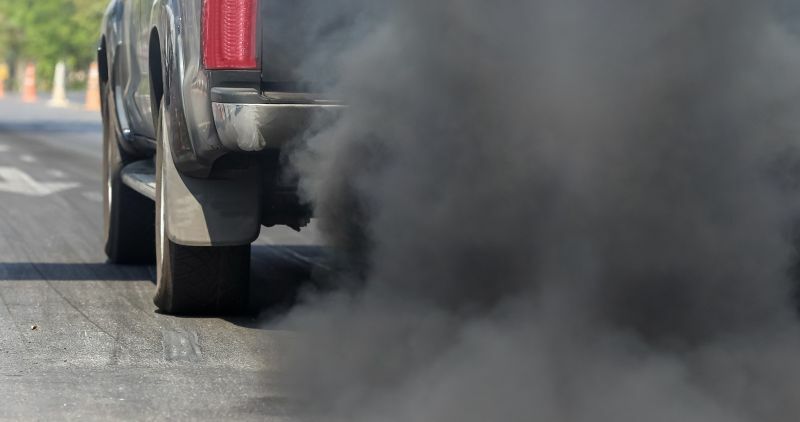 Carbon monoxide: also found incar exhaust fumes, thispoisonous gas takes the place of oxygen in your bloodstream. Formaldehyde: also used to preserve laboratory specimens, in embalming processes, and in the production of building materials, glue, pesticides, and fertilisers. Tar: refers to the solid particles that are created by burning tobacco. It builds up in the lungs and throat as a sticky, brown substance. Ammonia: also found in toilet cleaner and other household cleaning products. Not to mention lead,acetone, hydrogen cyanide, toluene, phenol… the list is as long as it is terrifying! Do filters make cigarettes less harmful? No. Cigarettes with filters are just as harmful as those without filters. Filters were originally added to cigarettes with the aim of reducing the amount of tar, toxins, and other particles from getting into the lungs. However, research has shown that they do not make cigarettes any less dangerous. Most cigarettes in Australia have vented filters, or filters with tiny holes that allow more air to be drawn in with each puff. This mix of air and smoke can make it feel ‘easier’ on the throat. However, smokers may inhale more deeply to compensate for the aerating action of vented filters, leading to an increase in deadly cancers in the outer regions of the lungs. 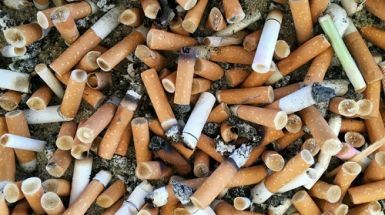 On top of the countless health impacts of cigarettes, discarded cigarette filters (also known as cigarette butts) are damaging to the environment. Cigarette butts are the biggest contributor to litter in Australia, with a shocking 7 billion cigarette butts littered every year. Are ‘light’ or ‘mild’ cigarettes better choices? So-called ‘light’ or ‘mild’ cigarettes are simply other names for filtered cigarettes. These terms were found to be potentially misleading and deceptive, and are no longer used on cigarette products. That’s because whether you smoke cigarettes with a stronger or weaker taste, the risk of smoking-related diseases is the same. Switching to ‘mild’ or weaker-tasting cigarettes doesn’t mean you’re inhaling fewer chemicals. Electronic cigarettes, e-cigars, vape pens, and personal vaporisers are all smoking products. 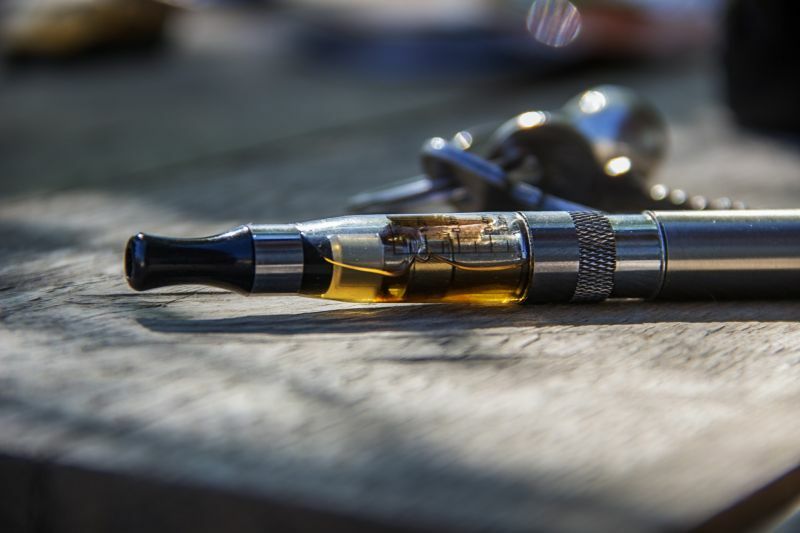 E-cigarettes can contain many of the same toxic chemicals that are found in traditional cigarettes, including nicotine, formaldehyde, and nitrosamines. E-cigarettes that contain liquid nicotine are illegal in Queensland. In short, they are not harmless. What if I smoke rollies or shisha? Shisha, hookah, waterpipes, cigars, pipes, and hand-rolled cigarettes or ‘rollies’ all contain toxic and cancer-causing chemicals. They are no less harmful, and may in fact increase your exposure to toxic chemicals. Compared with smoking a cigarette, in an average waterpipe session you’ll inhale 2-3 times more nicotine, 25 times more tar, and up to 50 times more lead. You don’t have to be the smoker to experience the harmful consequences of smoking. Second-hand smoke can cause cancer. 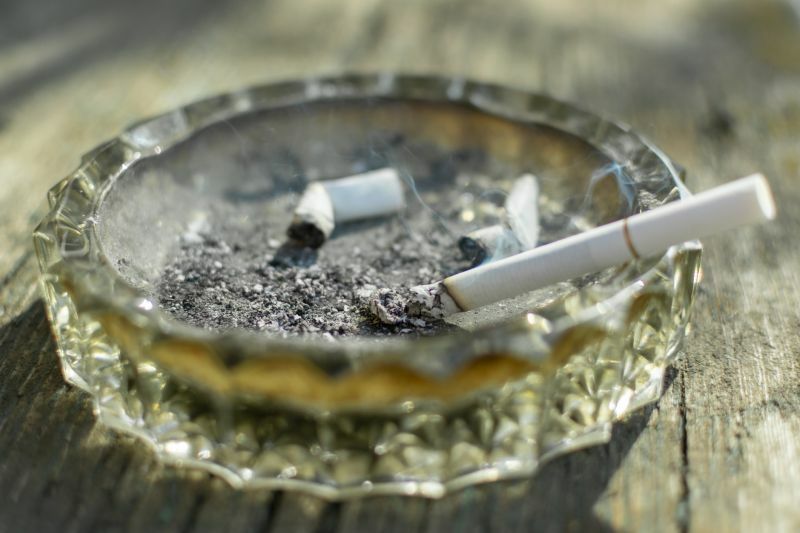 People who have never smoked a cigarette can experience the devastating consequences of smoking, particularly with prolonged exposure in the home. It’s especially harmful to babies, children, and pregnant women. That means quitting isn’t just good for you alone – it’s good for your family, friends, colleagues, and everyone around you. Yes, there’s a lot of nasty stuff in cigarettes. But we’ve got good news – quitting can improve your health no matter how long you’ve been smoking. Within hours of your last cigarette, your body starts to repair. You don’t have to go it alone. Check out our tips for quitting smoking successfully, or visit Quit HQ.